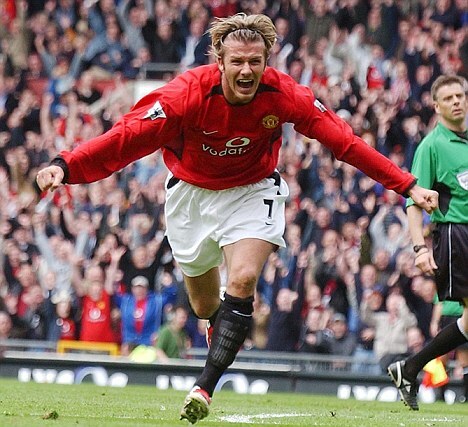 David Beckham’s career at Manchester United effectively ended when he fell in love with (now wife) Victoria, claims his former manager Sir Alex Ferguson in his new autobiography. The legendary manager, who recently retired after 27 years in charge at United, describes Beckham as a “wonderful boy” who was “like a son” to him at a press conference for the book yesterday. However he claimed his desire to be famous took precedent over his football (soccer) ambition, which led to his transfer to Real Madrid in 2003. “Everything changed when he fell in love,” Ferguson said. “He wanted to give it all up for a new lifestyle, for stardom… David was the only player I managed who chose to be famous, who made it his mission to be known outside the game.” And Ferguson thinks that, despite his success, he might one day regret his choice. What do you all think? Do you agree or disagree with Sir Alex? Baseball legend Jim Leyland announced Monday he is stepping down as manager of the Detroit Tigers after eight seasons that included three division titles and two trips to the World Series. Leyland announced his departure two days after the Tigers were eliminated from the AL championship series by Boston in six games. 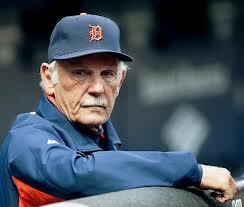 Leyland reportedly made the decision and September and let his players know after their ALCS loss Saturday night. Leyland was 700-597 with the Tigers. He led them to the World Series immediately after taking over in 2006, losing to St. Louis in five games. The Tigers went to the World Series again in 2012 but were swept by San Francisco. Leyland led the Florida Marlins to a World Series title in 1997. Congrats on an amazing career Jim! Kenneth Stanley “Bud” Adams, the second-generation oil magnate who brought professional football to Houston in 1960 and, three decades later, spirited it away to Tennessee, has died at the age of 90. The passing was first reported by Brent Zwerneman of Hearst News Services. A source said early indications are Adams’ death was of natural causes, but the source stressed the “early indications” aspect. 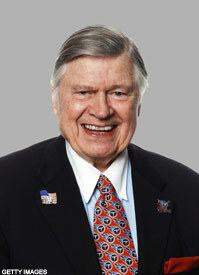 Adams founded the Houston Oilers in 1959 as part of the new American Football League. Until his death he remained owner, chairman of the board, and president and CEO of the franchise that became the Tennessee Titans in 1999 after a heated and controversial departure from Houston. He was one of only four NFL owners to reach the 350-win plateau, a milestone only shared with Ralph Wilson (Buffalo Bills), Dan Rooney (Pittsburgh Steelers) and Al Davis (Oakland/Los Angeles Raiders). 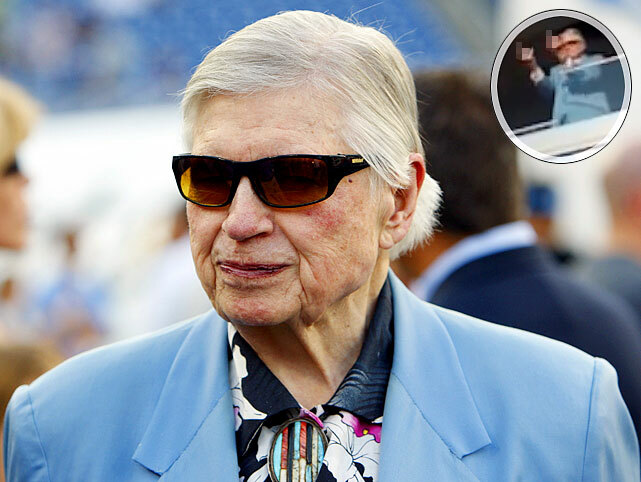 R.I.P Bud Adams. We’ll look for that double bird in the sky. NFL Top 20 Hottest Wives! Men’s Health has released their list of the 20 hottest NFL wives. for 2013. Did your favorite player’s wife make the cut? The top 5 include a former Miss Louisiana, a self-proclaimed tom boy, sister of a popular TV star, a VS model and a former Miss Hooters! We’ll let you figure out who is who. Do you all agree or disagree with the top 5? Be sure to check out the complete list of 20 at Men’s Health. UNC Tutor Quits in Protest of Star Player Staying on Team!!! Jack Halperin has tutored student athletes at the University of North Carolina for over twenty years, and recently made news when he resigned in protest of Roy William’s decision to keep star guard PJ Hairston on the team. Hairston has had three incidents with the law during the offseason, including drug possession charges, possession of a firearm, and driving without a license. Roy Williams says Hairston will miss “some games” (meaning the easy win games before the real competition starts) for his off court actions. Sadly he is currently practicing with this teammates preparing for the upcoming season. 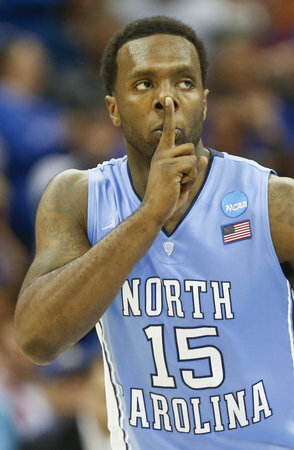 For whatever reason UNC continues to fly under the national radar with off the court issues. Perhaps it is the Michael Jordan effect. If the NCAA really wants to identify “lack of institutional control” they can look no further than UNC men’s basketball. Roy, after 23 years as an academic tutor, and after going through the devastating football scandal, I am resigning in protest of your disgraceful decision to allow P.J. Hairston to remain on the team. If I were arrested driving with no license, illegal drugs and a gun in a felon’s car, my employment at this University would end immediately. Hairston’s DTH headline quote was, ‘I will play this season.’ Since when does the criminal decide his fate? Largest NCAA Football Game in the World Set! Track and officials from both universities formally announced the plans Monday. The game is officially scheduled for Sept. 10, 2016. “I full well believe we’ll play in front of the largest crowd to ever watch or have watched a football game — that’s college and pro,” Virginia Tech athletic director Jim Weaver said. Currently the NCAA-recognized attendance record for college football of 115,109 was set last month at Michigan Stadium for Michigan-Notre Dame. 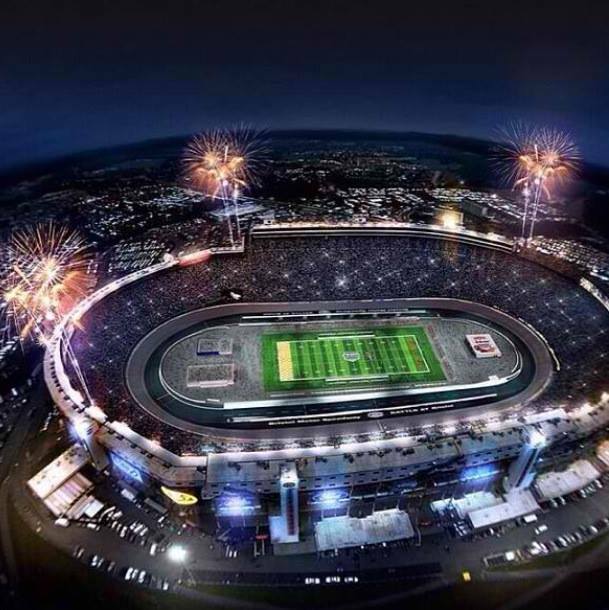 The “Battle of Bristol” is expected to seat numbers that will approach 200,000. “It’s a chance and opportunity to be part of something extremely special that will live with you for a lifetime,” said Tennessee coach Butch Jones, who was grand marshal of the Food City 500 at the Bristol speedway in March. Virginia Tech coach Frank Beamer has also driven on the Bristol speedway as part of a charity celebrity race in 2009 and recalls sitting in the Bristol bleachers watching races as a high school student. “Next to Lane Stadium, this is my favorite sports venue, I promise you,” Beamer said. Bristol Motor Speedway, formerly known as Bristol International Raceway and Bristol Raceway is a NASCAR short track venue located in Bristol, Tennessee. 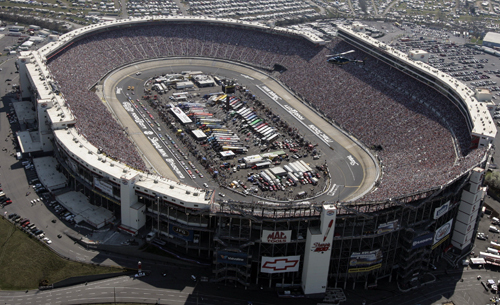 Constructed in 1960, it held its first NASCAR race on July 30, 1961. Despite its short length, Bristol is among the most popular tracks on the NASCAR schedule because of its distinct features, which include extraordinarily steep banking, an all concrete surface, two pit roads, and stadium-like seating. It has also been named one of the loudest NASCAR tracks. 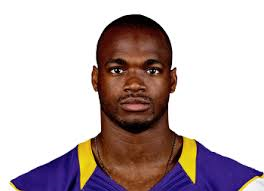 Awful news coming out of South Dakota today..
Minnesota Vikings star running back Adrian Peterson 2-year-old son died on Friday in a Sioux Falls, S.D., hospital due to the alleged abuse by a man (Joseph Robert Patterson, 27) dating the boy’s mother, police confirmed. Peterson met with the media Friday, hours before the boy passed away, and said at the time he still planned to play in Sunday’s game against Carolina, but declined to get into details about the case. Peterson posted a statement on his Twitter account after news of the child’s death came out. “Thank you to my family, my fans and fans of other teams for their support. The NFL is a fraternity of brothers and I am thankful for the tweets, phone calls and text messages from my fellow players. God Bless everyone and thank u so much,” Peterson wrote. And this isn’t the first incident for Patterson. He has a prior domestic abuse record with a different woman and child, having pleaded guilty to simple assault in an incident last year involving an adult female and juvenile male. Our prayers go out to AP! And we can only hope Joseph Robert Patterson is locked away and left to rot. University of Mississippi officials are investigating a report from The Daily Mississippian in which a number of Mississippi football players were among an audience that used “borderline hate speech” in verbally harassing student actors with derogatory and gay slurs during a university theater production of The Laramie Project. The play is based true story murder of Matthew Shepard, a University of Wyoming student who was killed in 1998 due to his sexual orientation. 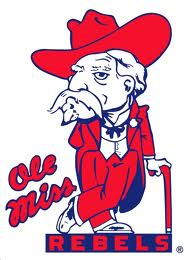 Garrison Gibbons, a 20-year old acting major at Ole Miss who was in the play, said Thursday the atmosphere at Tuesday’s performance was “radically different” and that actors had heard gay slurs from the audience and laughter at moments in the play, including a funeral scene. “They were laughing at lines that spoke in negative ways about gay people,” Gibbons said. Gibbons added that he felt “an incredible amount of judgment and laughter” while delivering a pivotal monologue in the play in which his character comes out as gay. He said the cast was later told after the group of football players in the audience were going to apologize after the show. “The cast did not believe the apology was sincere,” Gibbons said. 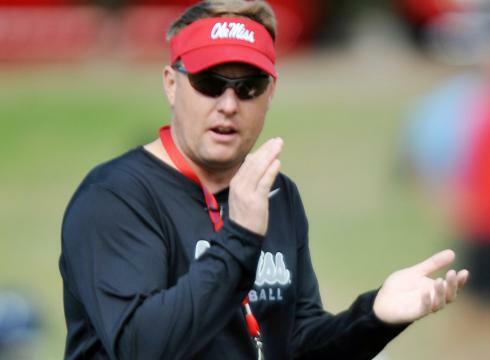 Freeze is a no-nonsense coach (one that does not drink or swear). I’m confident he will take the correct action and punish those involved. The Ole Miss Rebels (3-1, 1-1 SEC) square off with the Auburn Tigers (3-1, 1-1 SEC) in an SEC showdown on Oct. 5. The USC Trojans fired football coach Lane Kiffin not six hours after dropping to 3-2 after a blowout loss to Arizona State losing 62-41. Trojans athletic director Pat Haden informed Kiffin after the team’s flight arrival back in Los Angeles early Sunday morning after the loss at Tempe, Ariz., the school said in a statement on its website. USC has lost seven of its past 11 games dating to last year and both of its first two in Pac-12 play this season. Kiffin was pulled off the team bus in a parking lot at LAX by Haden and several other school administrators and was told he was fired, the Daily News reported. Under Kiffin, the Trojans are no longer the dominant team in the Pac 12 or Los Angeles for that matter. UCLA continues to improve and climb in the rankings while USC keeps losing, which made the decision even more important. No coach has ever landed more top-tier jobs with no results to show for it. 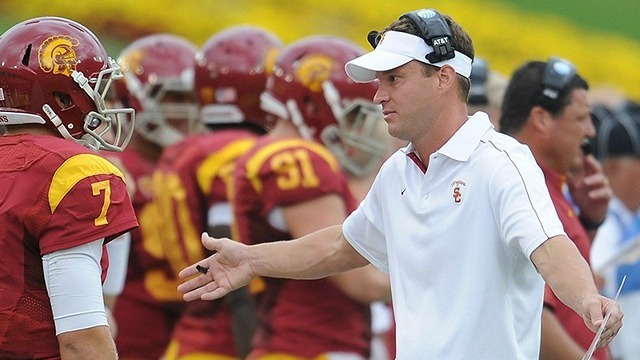 Kiffin has coached the USC Trojans, Tennessee Volunteers and Oakland Raiders. USC is a top 5 coaching job in the country. It will be exciting to see who Pat Haden hires to lead the Trojans going forward. It could potentially create an interesting domino effect in college football. Who do you all think will be the next USC coach? It was recently reported the No. 1 tennis player in the world, Novak Djokovic, was engaged to longtime girlfriend Jelena Ristic. The ATP Tour‘s No. 1 player confirmed the good news via twitter.